How to go Solar as a Small Business? Maybe your business isn’t Apple, Walmart or Google, but solar isn’t just a big benefit for big businesses. Even a small business is able to leverage the advantages that going solar brings from lower bills to fonder customers – who doesn’t love a green business? For a business that owns its own building going solar is clear sailing, with several provisos. First of all, installing solar is not for amateurs. If you are not in the solar business yourself, don’t try to choose the panels and the racking system and the inverters and the meters, by going online and buying all the parts, and installing the entire system yourself. A solar installation is not as simple as just plugging in a new Xerox copier. Solar companies have the expertise to deal with correctly sizing your solar system to meet your needs. 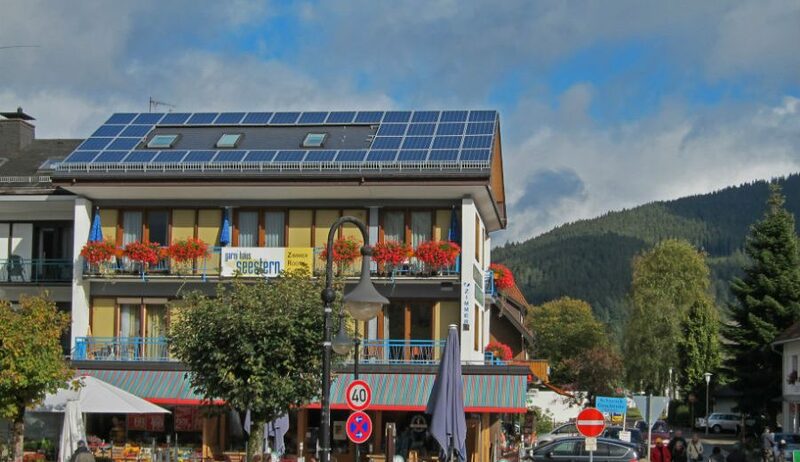 They have the experience in permitting solar from many prior dealings with state and county building codes, fire setback requirements, optimal system design, when to use which inverters and so on. Many will offer in-house financing and all will take care of the paperwork needed in order or you to take advantage of the tax incentives. On your own, you’d likely miss most of these. So, put yourself in the hands of professionals. The cost of solar has dropped so fast in the last five years that you can save serious money. Add to that, the always increasing price you pay to rent power from an electriuc utility, and owning your own power station can mean bigger savings still. According to EnergySage, the electricity bill savings from a business that goes solar can be as high as 75%. Add to that the 30% Federal Investment Tax Credit (ITC). Owners of newly installed solar panel systems get a break on the cost of the system because you are doing your part to help the climate. Some states also offer additional tax credits. Many consumers appreciate a business with a genuine and visible commitment to be responsible about the environment. Going solar yourself as a business, when so many are just greenwashing, sets you apart. Not only customers, but also employees are increasingly looking for meaningful work and can feel a sense of pride and satisfaction in working at a company powered by solar. By investing in solar, you’ll have happy customers and happy employees. Not only that, but solar workers are locals. By its nature, solar is a local business. The guys installing on your roof, or standing in line at your local building department to get the engineering drawings approved, or coming out to consult with you to design your system, are all living nearby: potential customers. If you rent, persuading your landlord that it’s the right thing to do is necessary. But with the federal subsidies and the tax write-offs for the system owner; persuading the building owner might not be the hard sell you fear it would be.